Weight loss--I'd love to drop a few pounds. Diet -- count me back out. I'm not one who likes diets...I don't do them. I have negative willpower. When the opportunity arose to review this book, The Mommy MD Guide to Losing Weight and Feeling Great, I jumped at the chance. Want to know why? Because this book is compiled by doctors who are moms. This is their 'insider trading' to weight loss. I also liked the title of the chapters, and a few really caught my eye. Boosting Your Self Esteem, Boosting Your Mood, Looking Your Best. They seemed to 'get it' that sometimes your thoughts are as important as the number on the scale. You need to feel beautiful--because you are beautiful! The Mommy MD Guide to Losing Weight and Feeling Great is the fourth book in the successful Mommy MD Guides book series. 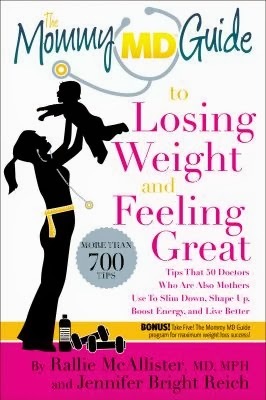 Our new book features more than 700 tips that 50 doctors who are also mothers use to slim down, shape up, fight fatigue, boost mood, look great, and live better!Our books and website feature tips that doctors who are also mothers use for their own families. They're experts--squared! Our mission is to help moms raise healthier, happier families. My readers can save 25% on all of The Mommy MD Guide books at MommyMDGuides.com and receive a free gift. You can follow Mommy MD Guides on Facebook, Twitter and Pinterest. While it is primarily a diet/weight loss book--complete with scores of recipes. I have just purchased the ingredients I needed to make a few this week...including a French Onion Soup that will be so yummy during this arctic blast the country is currently getting. I haven't made it through every chapter, but I've really liked everything I've read so far. I've skipped around a bit, but I like the way the tips are informative and educational. There's charts and lists to use to help with weight loss. The format is so easy to read--and can be done in small blips of time. You know how it is as a mom--you're busy and lucky to grab 30 seconds of 'free' time. Well, in that time, you can get through another tip or two in the book. Remember to enjoy your discount and free gift! Disclosure: I was provided a free copy of the book in order to facilitate my review. All thoughts and opinions are my own. Great review! Looks like a really good book. 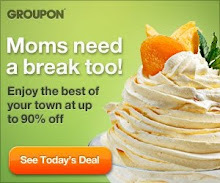 I will check it out and take advantage of that discount for sure. Love that it includes scores of recipes too, big help when not sure what to eat. Thanks for the review. Healthy weight reduction is a great thing to accomplish. My weight loss success came when I started a gluten free, wheat free, grain free eating strategy. Thanks for sharing this review. It seems like a great tool to help moms lose weight and reach their health goals. It would be great to hear if this helps you with weight loss at all!